The Administering Efecte Service Management course will provide you the knowledge and skills required in the everyday management of ESM. 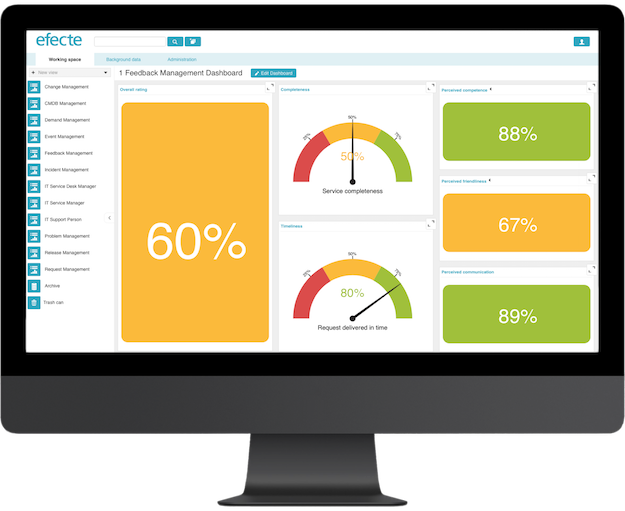 This course is intended for Efecte Service Management Administrators who manage ESM user rights, roles and licenses, and provide Views and Dashboards for various roles. To attend the course, you need to have completed user training during implementation and/or have user experience of the system. Participants will take ESM Certification Test.